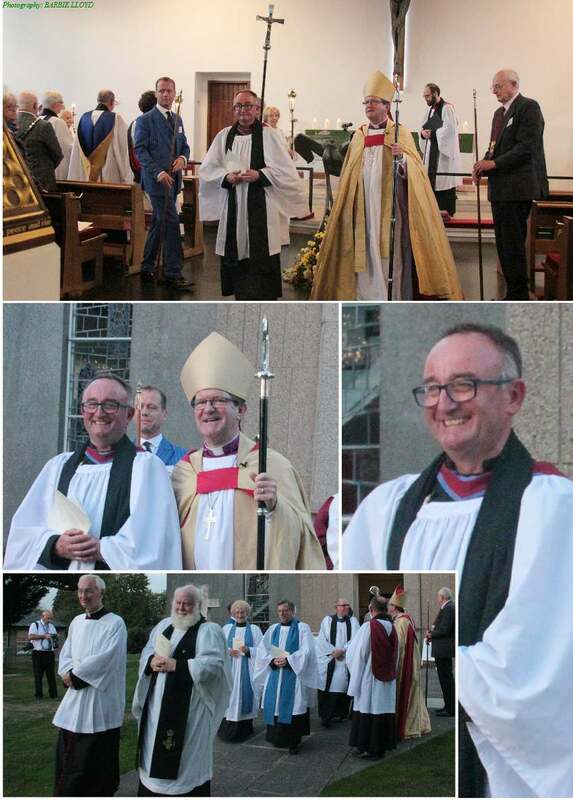 A congregation of around 200, including the Mayor of Havant, attended St George’s on the evening of 19 September to witness the service at which the Bishop of Portsmouth, The Rt Revd Christopher Foster, licensed the Revd Dr Colin Lawlor as Vicar of Waterlooville. Following an introduction by the Bishop, Fr Colin, accompanied by members of his previous ministries of Stanmer & Falmer, and the University of Brighton, was presented to the Bishop by the Archdeacon. Then, after the readings and the Bishop’s sermon, various representatives of the Church and Parish exchanged promises with Fr Colin as to his future ministry. Gifts were presented; Martin and Simon Lloyd presented a Bible; Euan, Imogen, Ellen and Penny presented Water, the Area Dean presented Oil, David Palmer presented Bread and Wine, John Hood and Chris Gadd presented the Keys, and Eileen Oades presented Flowers. Fr Colin then took the Oaths under the direction of the Bishop who then formerly handed to him his licence. 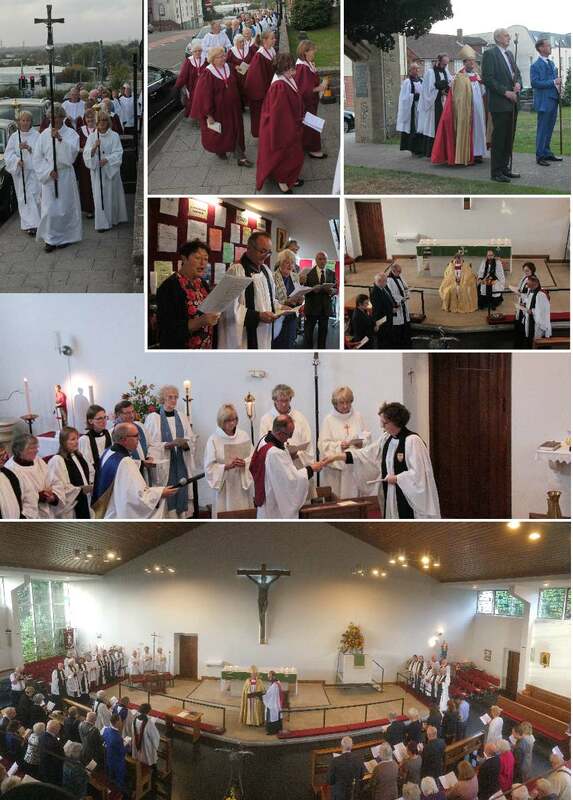 There followed the Installation of Fr Colin as Vicar of Waterlooville by the Archdeacon. 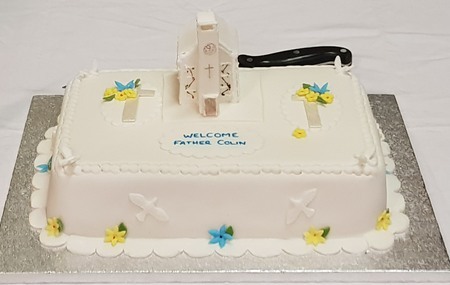 Fr Colin was then welcomed by The Archdeacon, The Area Dean, the Deanery Representative (Tony Rice-Oxley), Lele and Martin representing other local Christian Churches, and Linda from Edwards Funeral Directors as representative of the local community. After prayers, the Bishop’s procession left the Church, followed by the choir and visiting clergy. In the Church Hall, a vast buffet of food was prepared, together with much liquid refreshment including a fine barrel of real ale, all of which was much enjoyed by everyone attending.